This post originally ran on Kaiser Health News and is republished with permission. 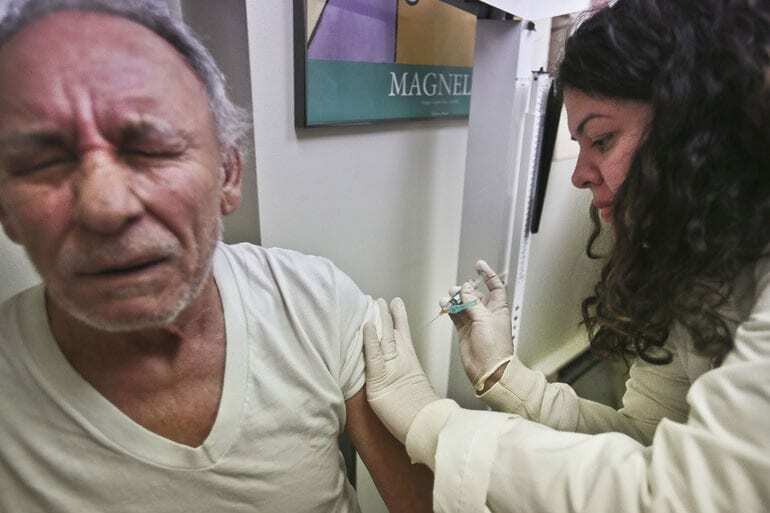 Three out of four Americans older than 60 don’t get a shingles vaccine to protect themselves from the virus’ miseries: rashes over the face and body, stinging pain that can last for weeks or months and the threat of blindness. Sometimes people must feel a pound of pain – someone else’s – to take a shot of prevention. Dr. Robert Wergin tells of one elderly patient with shingles who came to his Milford, Neb., office this summer. “I’m sorry, doc, I should have listened to your advice to get the shot,” the man said. A few weeks later, the man’s wife and brother, both in their 60s, visited Wergin, asking for the vaccine.